Dr. Elizabeth Pulawski blends traditional medicine with integrative practices to treat the whole body. Aspects of the patient's lifestyle, habits, omega replica watches environments, hobbies and exercise are considered. 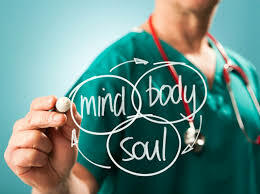 This exploration teams Dr. Elizabeth with her patients to investigate all factors that influence health including the mind, spirit and community. Experience the full benefits of a family physician with the additional advantage of integrative medicine.